Finding the perfect wedding rings can be an exciting, yet challenging task. You may find something you like but not love, or find a ring that could be improved with special design enhancements to make it special for you. Allen’s Jewelers understands you want a special ring that you absolutely love, that only you have. Whether you are looking for a beautiful bridal engagement ring, or a memorable and unique wedding band, we will help you create a wedding ring that symbolizes your love and represents your style. From being a part of the custom design process, to including family stones, there are many reasons for custom wedding ring design. You’re looking for a wedding ring that no one else will have. With custom wedding ring design, you will have a one-of-a-kind wedding ring that is sure to become a discussion piece and make a statement. Your involvement in the custom design process from beginning to end ensures you get the custom wedding ring of your dreams that really reflects your love at the price you arranged. Custom design both His and Hers. Don’t settle for ordinary wedding bands -make sure you both get a custom piece you will love. You can purchase your stones at Allen’s Jewelers or provide your own. Our custom wedding ring design process allows you to create a non-traditional wedding ring using colored stones such as sapphires, rubies, or emeralds. You could use the stone from your grandmother’s engagement ring or your mother’s anniversary band to create a multi-generational wedding ring of your own. The possibilities are endless! If you’ve already found the perfect engagement ring but know it will be challenging to find a wedding band that is a perfect fit, we will work with you to custom design your second piece. 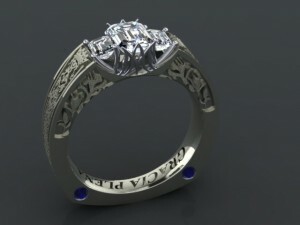 With custom wedding ring design, you can choose from a variety of metals. From traditional yellow gold, to popular platinum, to more unique metals, the Allen’s Jewelers Owner and Master Jeweler, Dennis Marshall, will work with you to find the perfect metal for your lifestyle and personal style. Our Master Jeweler, Dennis Marshall, has the experience and professionalism to design and create a piece of beautiful jewelry that you will appreciate and treasure. A custom wedding ring is the perfect way to get the perfect wedding ring for you. 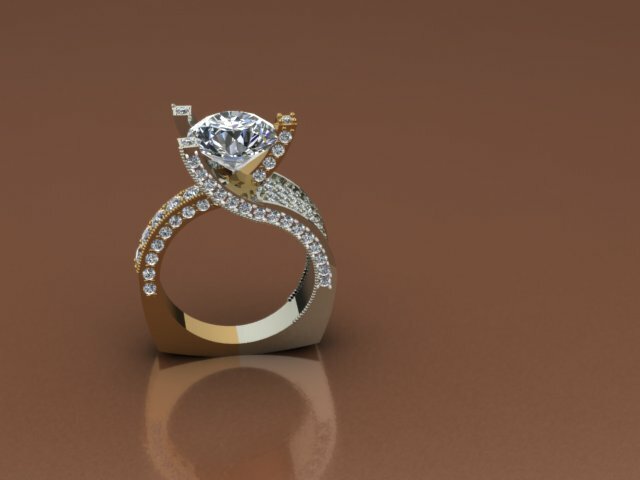 To discuss your wedding custom jewelry project,pleasecall 904-221-9998 to make an appointment or to see our full selection of wedding and anniversary rings with assistance from our professional Allen’s Jewelers Team.